Happy New Year! It’s been a crazy weather January here. We went from warm to being buried in over a foot of snow last week to 65 and sunny yesterday. I spent much of yesterday reorganizing my stash and office area where we have our computers. I did get some knitting time in before and after going out to the barn. I’m trying out a couple of new techniques and working on my first pattern but more about that in February. My original goal of 2015 was to finish all of my languishing sock projects and frog those I knew I wasn’t going to finish. I didn’t quite manage one of those things. I did frog about five pairs of socks that had been sitting in a basket for years. However I failed to achieve #nosockstanding. I did finish 38 pairs of socks when it was all said and done. I can’t believe it myself. 12 of them were for Desert Vista Dyeworks Monthly KAL. Two pairs were for Desert Vista Dyeworks Cast on the Dead KAL and the rest were socks I finished or started in 2015. That’s a lot of socks. Did I finish the rest of my goals? Nope. I did a heck of a lot of sock knitting and not much else. Do I have any excuses? Not really. 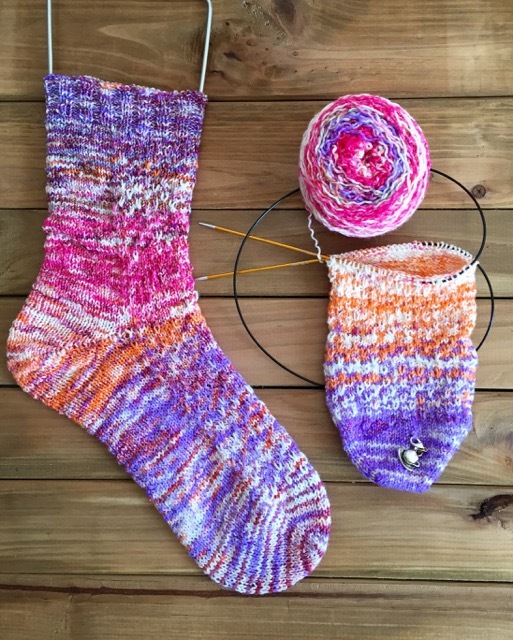 Do I still have a lot of socks on the needles? Oh yes! I’m enjoying knitting along on my socks and to me that’s all that matters. There’s no knitting police to tell me I have too many WIPs, or I should be knitting more sweaters. Setting those kind of limits on hobby normally end up backfiring. I’ve had a lot of hobbies come and go but this is the one I’ve stuck with the longest (not counting horses since it’s a bit complicated) and actually been good at. I’ve had a couple of scares where I thought I had hurt my hands bad enough that I couldn’t knit and wouldn’t be able to for some time, but where there’s a will, there’s a way. Two years ago I managed to knit in the ER while waiting for my hand to looked at. When you’re waiting for three hours and your brioche scarf WIP is in your bag, it’s not going to take long to at least try it. Who knows why but I hadn’t brought a sock project with me and had grabbed the bag with my scarf instead. Little needles may have been too much of a challenge. I spent most of my day, craving the feel of the needles in my hands. 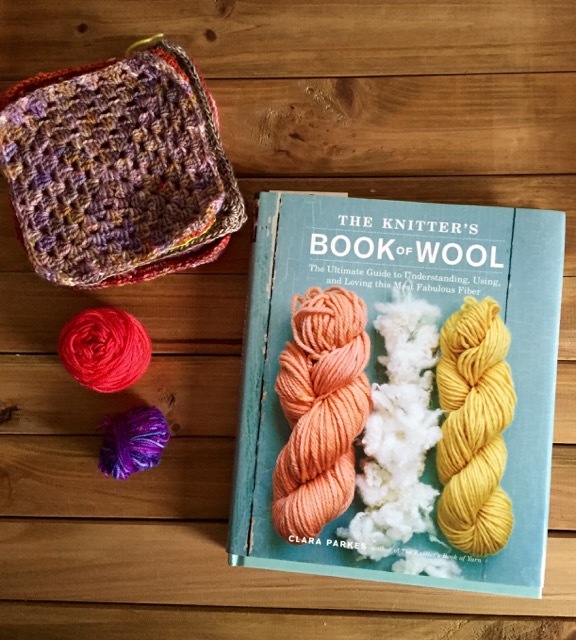 The first thing I do when I get home from work and the barn is pull out my current WIP and get some quiet time in. After full days of hustle and bustle at work, I savior the peaceful minutes I can get from knitting. I’m going to make two goals for 2016. One is to end the year having knit more yarn than I bring into the house. That will be a real challenge. The second is to spend more time knitting in general. I’m not sure how I’m going to make it happen but I’m definitely going to attempt it. Have a great weekend and I hope you get lots of knitting time in!